Bestselling author Miranda Dickinson shares the reasons why for her, Christmas is the most magical time of year. Bestselling author Miranda Dickinson shares the reasons why for her, Christmas is the most magical time of year. 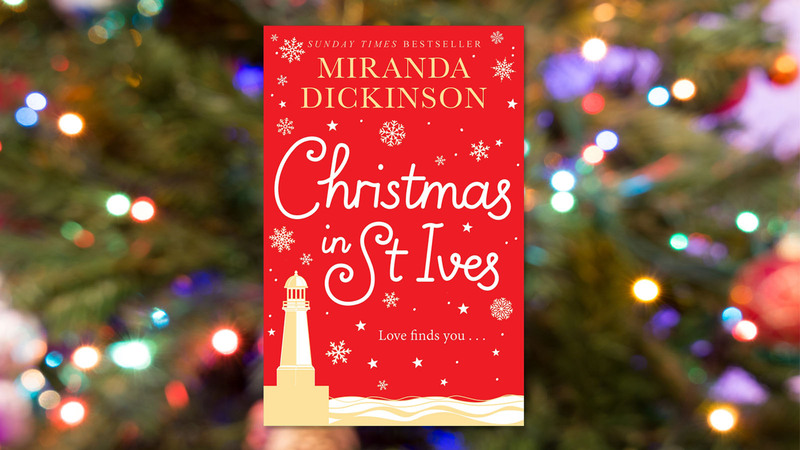 Miranda’s festive new novella, Christmas in St Ives, is available to buy in ebook now. I love Christmas. From as early as I can remember, twinkling coloured lights, tinsel and the smell of a real Christmas tree have always made me giddy. Then there was the fateful year our pillowcases filled with Santa’s presents were mysteriously delivered to the wrong bedrooms and Dad bounded up the stairs with an empty sherry glass to explain to my sister and me that Santa must have indulged in too much festive spirit and muddled up our gifts. Magic was what mattered – and this is what I cherish most about my childhood Christmases. Mum and Dad weren’t the most organised when it came to Christmas. We’d frequently be hanging strings of Christmas cards around the living room walls on Christmas Eve, or dashing around garden centres a week before Christmas trying to buy a tree. The Dickinson family Christmas trees were always the bushiest, wonkiest trees in the street, usually with at least a foot sawn off the top to fit it into our house. When it came to decoration, every bauble, scrap of tinsel and set of lights we owned would be hung upon the unfortunate spruce. An angel I made when I was three years old from a silver foil doily-covered cardboard cone with a wonky-smiled, wool-haired table tennis ball head always crowned the top. And then there were the stories that were brought out each year with the old Smith’s Crisps cardboard box of decorations. Memories of nativity plays from school and Sunday school: my sister Bev as an angel with a finger up her nose for the entire performance; me as Mary trying to nick Joseph’s beard. The Christmas story was always a huge part of our Christmas celebrations. We had an ancient nativity set placed in sand on Mum’s old tea tray and the Christmas morning service at our church was something we all looked forward to. That’s still special for me now: the story of love and giving that we loved and retold each year before all the giftwrap-ripping, lunch-gobbling, tinsel-covered frenzy of our family Christmas could happen. Love and magic are what I think make Christmas special. In Christmas in St Ives, my characters are all searching for it as they prepare for their own Christmases by the sea. Whatever you hope for this Christmas, I hope you find a little love and magic too! This wonderful festive ebook novella by bestselling author Miranda Dickinson is guaranteed to get you in the Christmas spirit. Christmas in St Ives is a Cornwall set story of magic and romance featuring the characters from Miranda's next novel, Somewhere Beyond the Sea, which is available to pre-order now.